What Books Are In My Summer Holiday Reading List? Home Lifestyle What Books Are In My Summer Holiday Reading List? The summer holidays have been full on so far and I shall be featuring a post about our week away shortly, but for now I am going to post about my down time because parents need it too! Winter is here… or so you may think by the weather outside, but in Game Of Thrones terms, it most certainly is! With all the pieces now starting to slot into place, twists and turns are still keeping viewers on their toes and Series 7 is proving to be a hard hitting penultimate series thus far. I was ridiculously late to the Game Of Thrones viewing party, for some reason I wanted to attempt to be the only person never to watch it as I never assumed the show would appeal to me. How wrong was I when I enjoyed a GOT marathon earlier this year? Alas, I have caught up now and having to wait a week between episodes, which is painful! The summer holidays and taking time away from work and my laptop to spend time with Mini Me has also gifted me time to relax with a good book. 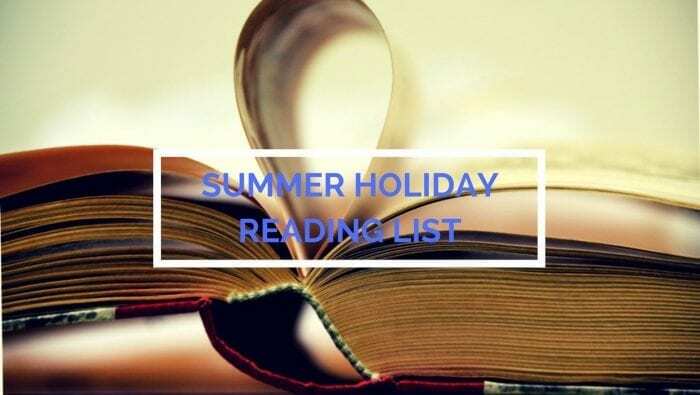 There are plenty on the Summer Holiday Book List, however I feel the need to add the Game Of Thrones books to my list too. Always one to enjoy a book before a film or series, it’s actually the show that has made me want to read the books this time! I may not be getting the chance to engross myself in books whilst lazing on a beach this summer, however I will definitely ensure that I spend time, curled up in a comfy chair with a book… and possibly with a blanket too! Mini Me has taken a shine to the range of Tom Gates books and I have a feeling more will have been added to her collection by the end of summer. Anything to ensure technology downtime surely has to be a winner! What books will you be engrossed in over the summer holidays?